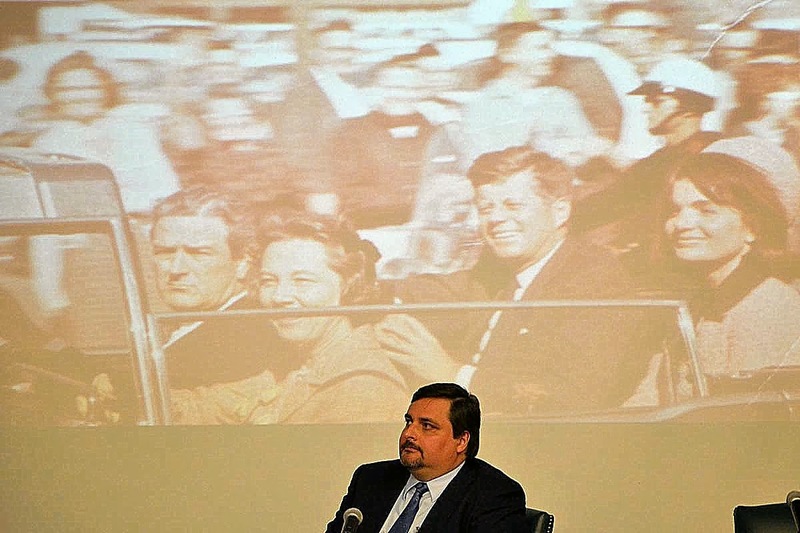 Culpeper Media Network's Germanna Today cable show takes a look at "Standing Next to History," a program commemorating today's 50th anniversary of the assassination of President John F. Kennedy featuring an eyewitness from Nov. 22, 1963 and GCC history faculty members Dan Carter and Stuart Smith. She didn't think she was good enough. She was wrong. 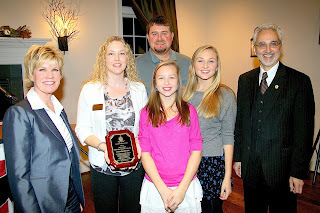 Last Friday night Anita Newhouse accepted the Germanna Community College Educational Foundation Steve B. Jones Alumnus of the Year Award at the GCCEF Annual Dinner at Stevenson's Ridge. A friend convinced Newhouse, who thought she wasn't smart enough for college, to go to Germanna. With support from faculty and staff, she excelled, earning her associate's degree, then going on to earn a bachelor's degree while working at GCC. She's now manager of Germanna's Welcome Center. "I was that student in the parking lot, scared to come in, who I'm helping now," she told the crowd. Before registering at Germanna, Newhouse was hesitant to pursue higher education, coming up with excuses not to enroll. “I have a child. I work full time. I wasn’t a good student in high school,” she said. It was the encouragement of Randy Martin, an associate professor of business management, and Sarah Somerville, coordinator of counseling, both of whom work at Germanna’s Locust Grove Campus, that kept her going. Newhouse was 29 when she started at Germanna. Her goal was to earn a bachelor’s degree by the time she was 40. She did it with half a decade to spare, graduating from the University of Mary Washington at the age of 34. Along the way, she received a Virginia Community College System Chancellor’s Fellowship. The Welcome Center combines counseling, financial aid and admissions resources. Newhouse said she can identify with “the hesitation, the anxiousness, the worry and the fear” some students she assists feel as they enter community college. She also knows firsthand how those feelings may be overcome. “If you have the burning desire to do it, follow your dreams and don’t let age or anything else hold you back from you want to do. Believe me, you can,” Newhouse said. The Henrico native, who grew up in Spotsylvania County, graduated from Courtland High School in 1994 and from Germanna in the spring of 2006 with an associate’s of applied science in business management. 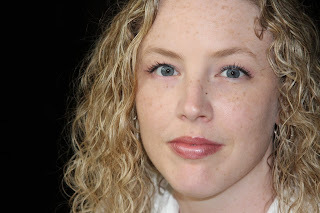 She graduated from UMW in the spring of 2010 with a bachelor’s degree in leadership and management. Newhouse began working at Germanna in 2006, while she was a student. The public is invited to attend the upcoming meeting of the Germanna Community College Board on Thursday, Nov. 21, 2013, at 5 p.m. The meeting will take place in Room 100 of the French Slaughter Building at the College’s Locust Grove Campus in Orange County A sign-up. sheet will be made available 30 minutes prior to the beginning of the meeting for those interested in addressing the Board. Germanna Community College is a two-year, public institution of higher education, serving the counties of Caroline, Culpeper, King George, Madison, Orange, Spotsylvania, Stafford and the city of Fredericksburg. Germanna Community College students, faculty and staff participated in Ken Burns' Learn the Address project to commemorate the 150th anniversary of the Gettysburg Address Tuesday, Nov. 19, 2013. 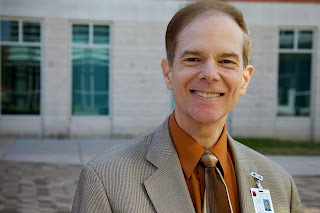 Germanna's Dr. David A. Sam has been rated one of 10 community college presidents to follow on Twitter. 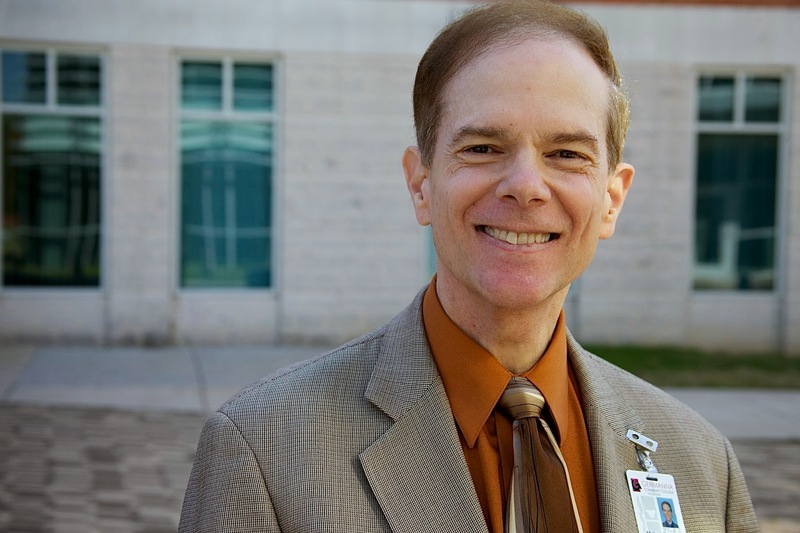 "many of Germanna Community College President David A. Sam's tweets feature links to articles and developments at the Virginia institution, as well as stories related to students. Mixed in among those posts, however, are bits of 'wit and wisdom' that make giving his account a follow even more worthwhile. Additionally, he posts links to his Goodreads reviews of books he has read, and in October, several of his tweets spotlighted famous people who attended community colleges." WHEN Jack McNairy rode his motorcycle into the crowded city of Dallas on Nov. 22, 1963, it quickly became clear to the 18-year-old high school student that going all the way into downtown wasn’t going to work. There were just too many people. 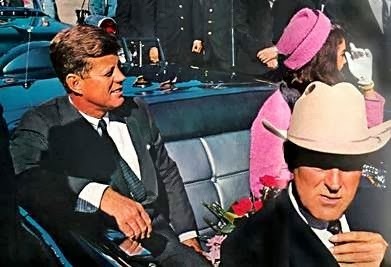 His mother may have gone there that morning to catch a glimpse of John and Jackie Kennedy, but young McNairy quickly changed gears and decided to park just off the Stemmons Freeway not far from Dealey Plaza to catch a peek. When he saw the presidential motorcade come flying by moments later, seemingly doing 60 with an agent holding on in the back with a gun in his hand, the young man’s initial reaction was, “How rude. They aren’t waving or anything.”The reality of that day, when the country’s young president was shot and killed 50 years ago this month, would become real to McNairy all too quickly. 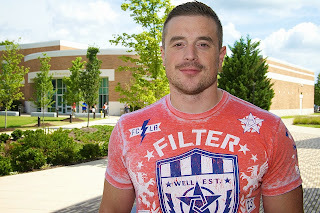 Germanna history Asst. Prof. Stuart Smith explained why JFK was in Dallas. Part of the crowd at the Standing Next to History JFK panel discussion. People's pasts ought not determine their futures, especially if they are trying to get back on their feet. The Germanna Community College Center for Workforce & Adult Education's Adult Career Center, the Thrive Healing Center, an organization that provides comprehensive services to women, and VA Cares, a statewide program that gives support for ex-offenders needing to re-enter the workforce, have recently joined forces to provide a process for select women in need of help. Thrive will take the lead in determining the best fit for each person. Some may be sent directly to the Adult Career Program and Michelle Beverage for help with resumes and the job search. Others will begin with life coach courses at VA Cares led by volunteers at Thrive. Together the organizations hope to make a difference for women trying to restart their lives. "“I’m looking forward to working together with Thrive & VA Cares to help coach these women toward successful career pathways," Beverage said. On the morning of Sept. 11, 2001, Jacob Brooks was a student at Dundalk Community College in Baltimore. The events of that day were about to change his life, and the lives of many thousands of other patriotic young men and women who would enlist as a result of the Sept. 11 attacks, forever. More than a decade later, Brooks, now a Germanna Community College student, like thousands of other vets, is struggling to make the transition back to civilian life and playing catchup with friends who chose not to serve in the military. He was disappointed when he was initially assigned to a mechanized unit, where he spent his first three years in the Army. “I wanted to be in the light infantry,” the Spotsylvania County resident says. Brooks suffered concussions in improvised explosive device blasts and a number of other wounds and injuries in Iraq. The ligaments in both hands were torn in a fall during combat seven years ago. He’s 31 years old and he’s in near constant pain. Still, he admits leaving the military and making the adjustment to civilian life and college hasn’t been easy. “That freedom is a blessing and a curse for them,” says Bob Dixon, Germanna’s first Veterans Support Counselor, who was an Army artillery officer during the Gulf War and served in Afghanistan. It’s strange to be outside the structured, demanding environment of the military. It’s even stranger to be sitting in a classroom next to teenagers just out of high school, some of whom are texting on the phones during lectures. “He was on the upside of almost being a lifer and his life took this turn,” Dixon says. “Suddenly, he finds himself pushed out. “Joy doesn’t even register in my brain,” Brooks says. “Contentment, peace, none of that. A picnic, going to a water park, going to a pool—those things, nah. The toughest thing is that everything seems so dull, so boring. The bar [for excitement] is up here,” he says, holding his hand high. Dixon says Brooks “really connected” with Germanna English Prof. Cory MacLauchlin. Brooks, MacLauchlin says, is in the process of redefining himself and is a talented writer. Brooks completed three combat tours in Iraq, serving in one of the bloodiest parts of that war as a platoon sergeant in charge of 30 troops. “When you’re in a position like that, your hormones—adrenaline, cortisol get pumped up so you can cope,” he says. “Then the longer you’re back here, the harder it gets. Once you start to look back on it as a normal person, it really is a lot harder. That’s why Vietnam vets have struggled later on. They’re no longer in that mindset” and they still have the memories. Perhaps without even realizing it, Brooks has been helping others to understand. Dixon says our region is “rife with guys like Jake.” The details are different, but the general story is the same. Germanna and other colleges in Virginia must prepare to help thousands of them make a difficult transition, but one with a potentially huge payoff. 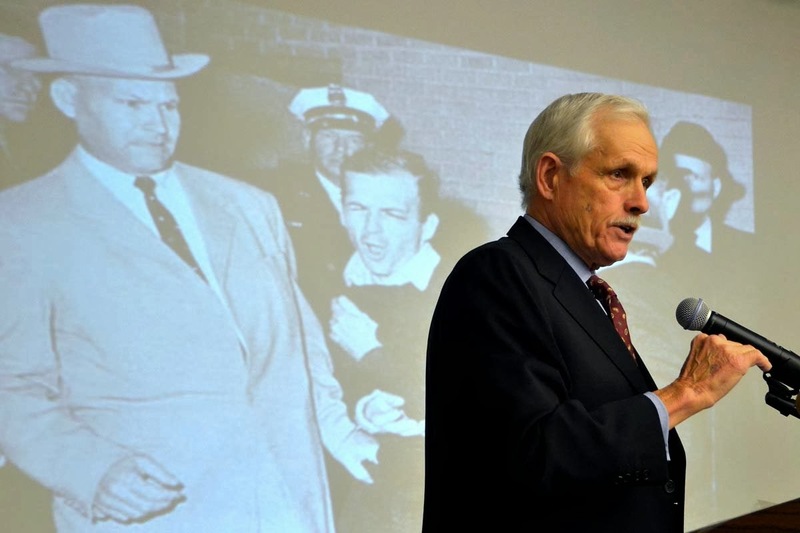 When shots rang out in Dallas on Nov. 22, 1963, Jack McNairy was there. The 18-year-old high school student watched as President John F. Kennedy’s motorcade sped away from Dealey Plaza. An official flashed a badge and asked McNairy to give him a ride to Parkland Memorial Hospital. Once there, McNairy stared in disbelief into the president’s blood-splattered limo moments before the Secret Service ordered it cleaned and sent it back to Washington. McNairy says what he saw in the limo indicated the shots that hit the president came from behind--possibly from the School Book Depository Building--where Lee Harvey Oswald was perched, and not from the grassy knoll on the Northwest side of the plaza, as some conspiracy theorists have speculated.. McNairy played a key part in the Discovery Channel's 2008 investigative program, "Inside the Target Car." When Michael Shockey was 13 years old, he weighed 240 pounds. Because of bullying, he did poorly academically. By the time he was 16, he was hospitalized for acute, nonspecific pericarditis—a painful and dangerous inflammation of the sac around the heart. 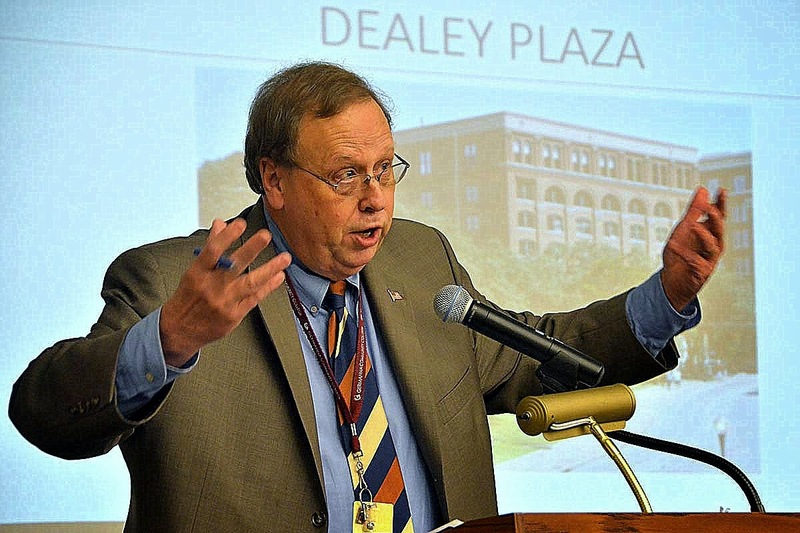 “I had these enormous difficulties, pressures,” 63-year-old Shockey, an adjunct professor of psychology at Germanna Community College and senior minister at Calvary Southern Methodist Church in Stafford, says now.